Capt. 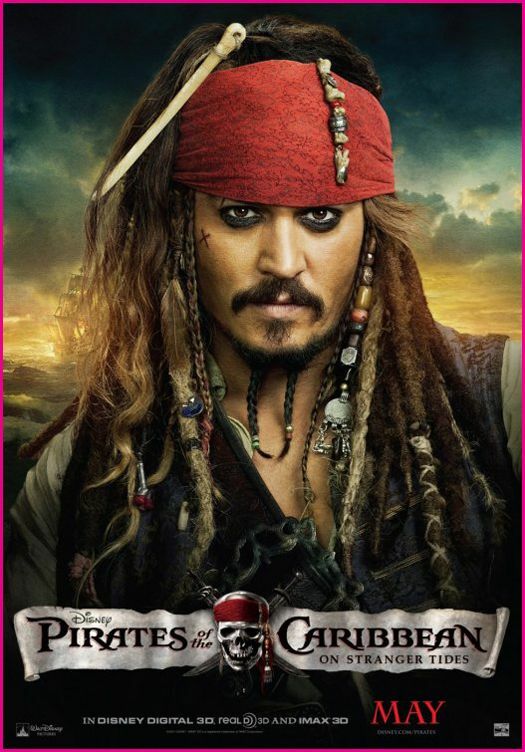 Jack Sparrow is definitely one of the greatest movie character creations of the past decade, and he's played by one of the greatest actors (probably the greatest) of my generation. The real question, however, is do you want more of Johnny Depp as Capt. Jack Sparrow? If you do, I have no doubt you’ll be pleased with the 4th installment - Pirates of the Caribbean: On Stranger Tides. And if you don’t, why on Earth are you even reading this? I always felt this series should've followed the same formula to that of Indiana Jones, i.e. same main characters throughout, but different side characters and adventures for each chapter. Getting rid of the Orlando Bloom and Keira Knightley characters was definitely a good idea, as was bringing in Penélope Cruz’s Angelica - who may or may not be the daughter of the evil Pirate Blackbeard (Ian McShane) - as a semi-love interest and a perfect rival for Sparrow. And is it me or does Sparrow’s eyeliner get darker and darker as the series continues? Weird. The story, although entertaining, was a little too simple and predictable. At least it wasn’t convoluted with plot lines and characters though. It looks like nothing will ever top The Curse of the Black Pearl. This time around it’s all about a search for the Fountain of Youth. Everyone of importance is looking is looking for it. The Spanish are after it, King George II, via Capt. Barbosa (Geoffrey Rush) are after it, not to mention Blackbeard and Angelica. The adventures and fight scenes are a bit bleak in parts, leaving it all up to Sparrow to keep it light at fun - which is exactly what this movie is. My favorite part in the film was definitely the beautiful vampire mermaids. OUTSTANDING! That CGI was amazing!